Scott Essential provides reliable balance of efficiency, performance and value. 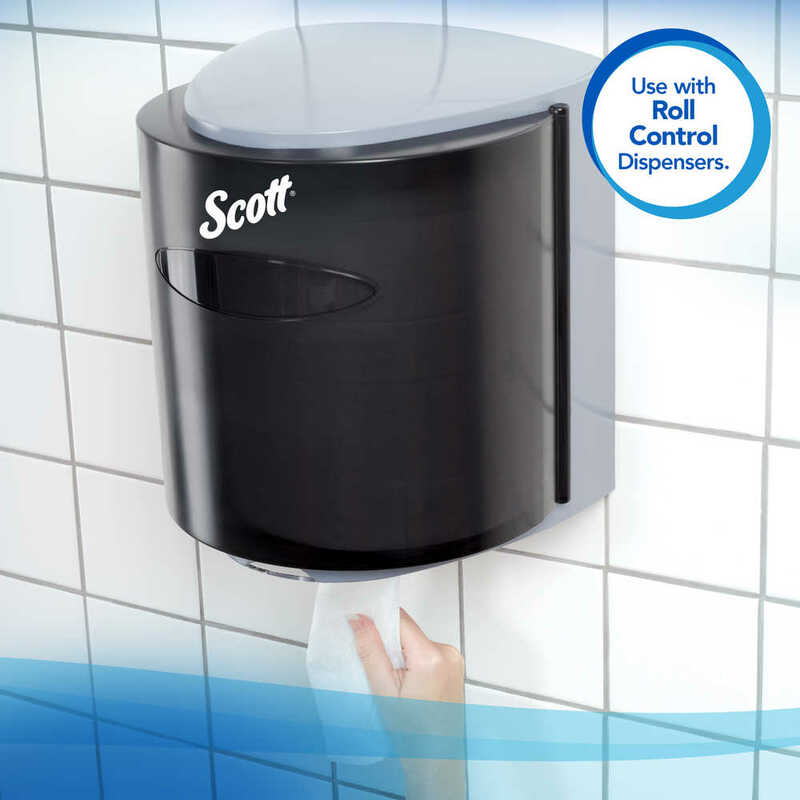 For an economical and highly effective choice for your business' hand drying needs, look no further than Scott Essential Roll Control Center Pull Paper Towels. 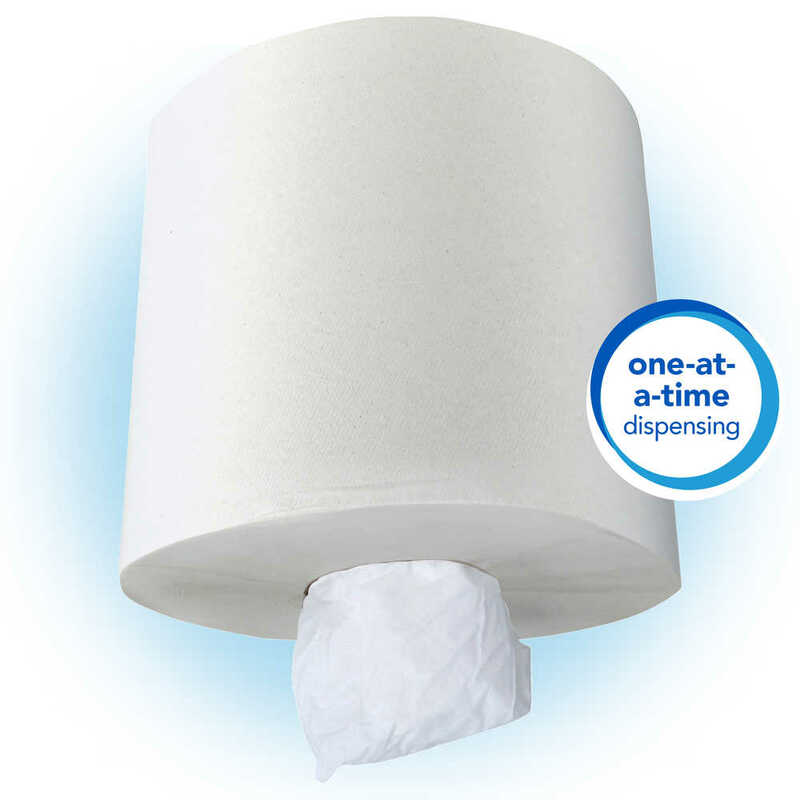 Each towel is perforated (for one-at-a-time dispensing), never bunches and is designed for one-hand dispensing right from the center of the roll. 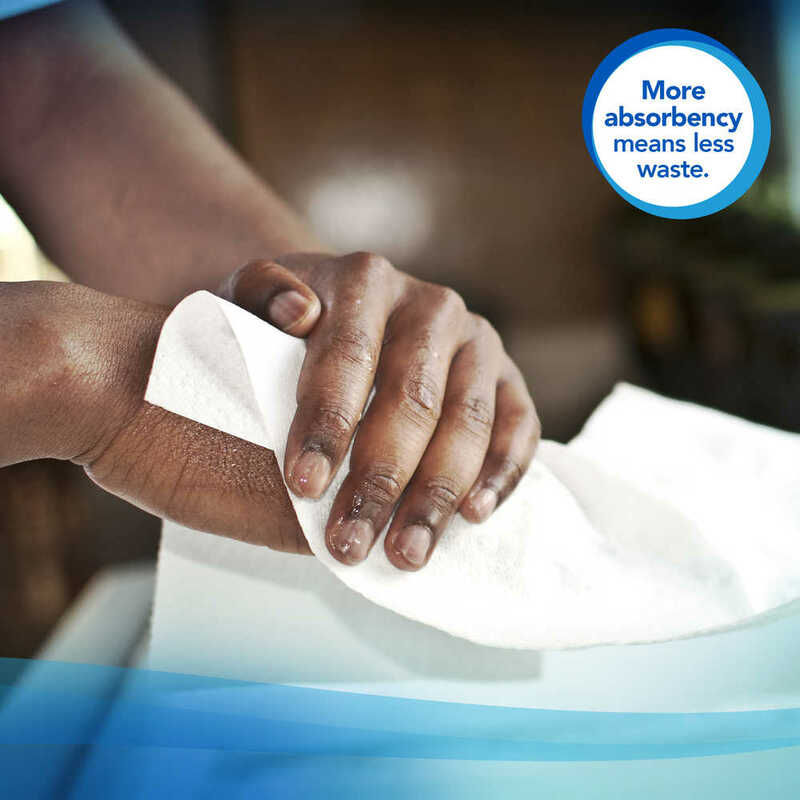 They have Absorbency Pockets that soak up water fast for superior and economical hand drying. They are a hygienic choice for your business' restroom. 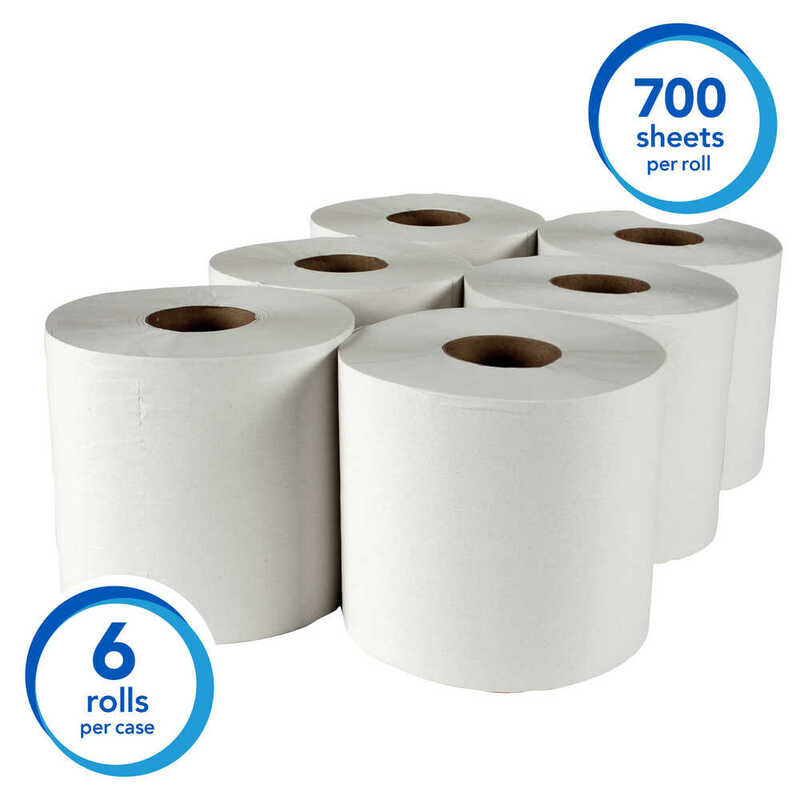 Since each roll has 700 sheets, you'll have to change the roll less often. The single-use center pull towels are 12 x 8 inches and contain 60% recycled fiber with a minimum of 40% post-consumer waste content to meet EPA guidelines. 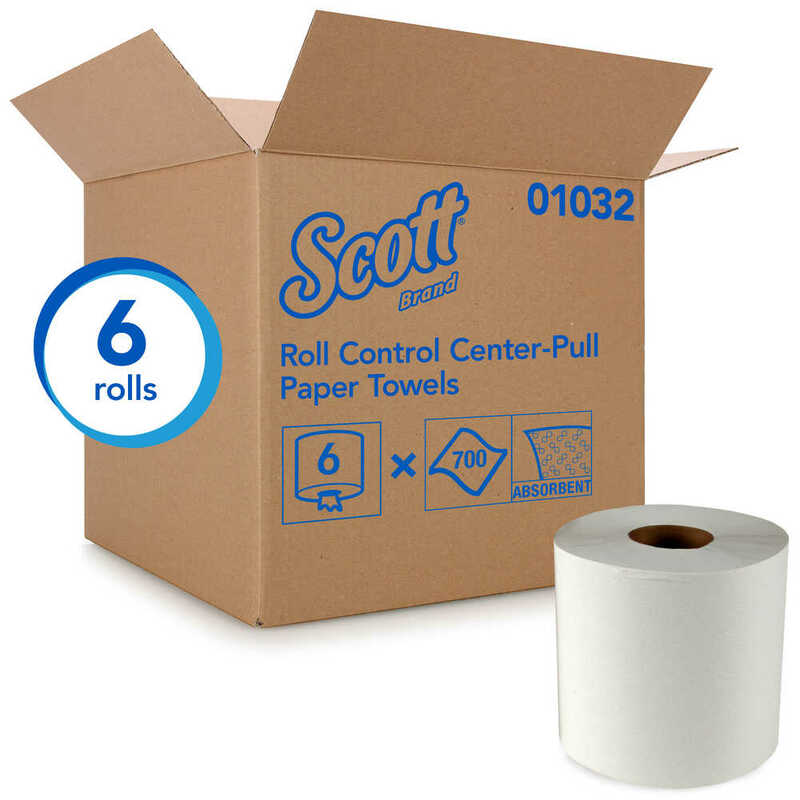 For practicality and value, you can trust Scott Essential Paper Towels. 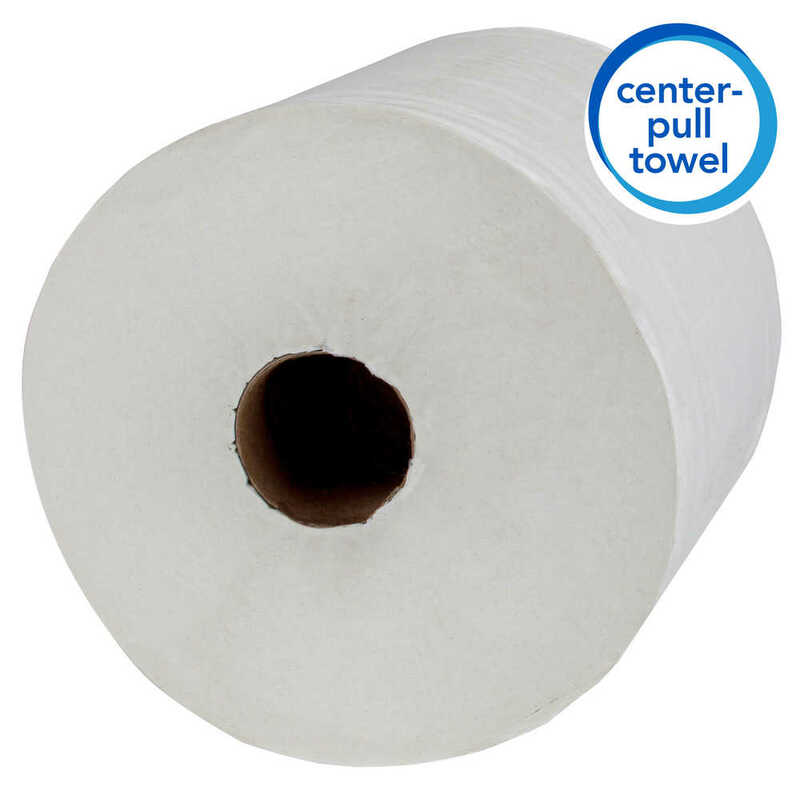 The paper towels center pull design minimizes waste because it's perforated for one-at-a-time dispensing (so your bathroom guests only get one towel at a time).